You have gotten several relatives official death certificates. Of special interest would be what was written for the person’s cause of death. What might be written can be hard to read or even difficult to know what it is. What you may have missed is a special number that comes from the International Classification of Diseases (ICD), or the International Statistical Classification of Diseases and Related Health Problems as it is now known in full – and is currently maintained and updated by the World Health Organization. The ICD was originally developed in the late 1800s and was known as the Bertillon Classification of Causes of Death, after its developer Jacques Bertillon, and later the International List of Causes of Death. This coding system provides a unified way to communicate and track causes of death and was used by a variety of nations. The U.S. began using it about 1898. 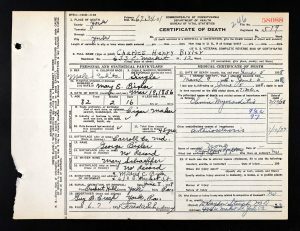 So on many U.S. death certificates after 1898 there maybe these codes, as well as death certificates from many other countries during different time periods. All you need to do is look up the code and find the cause of death in a clearly written database. The information is made freely available online by Wolfbane Cybernetic – complete list of codes. 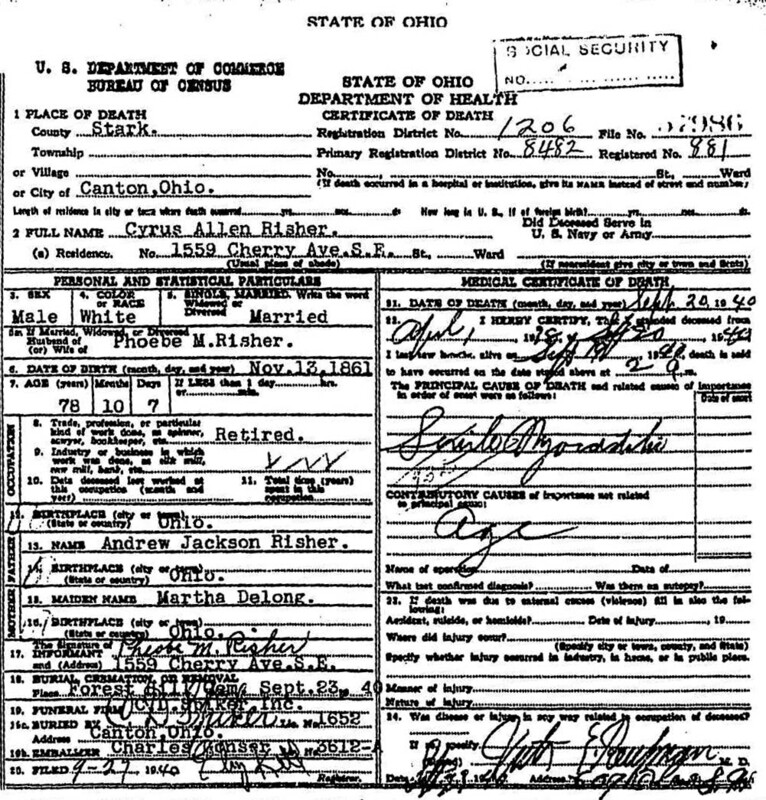 Select the revision that encompasses the year of your ancestor’s certificate. Because updates are made to the database about every 10 years, select the correct revision. Information can change dramatically from revision to revision, so making sure you have the correct one is very important. Especially make note of the month of death, not just the year. Revisions could have been in the middle of a year. It can be hard to read a lightly written code, but enlarge it for details. A reminder, a code number can also refer to a contributory cause of death, a secondary illness for example. Most codes are 3 numbers and more recent ones will also have a letter. The will be a written code number / letter and may be circled or not. For certificates from 1920s to present are more likely to use the codes. 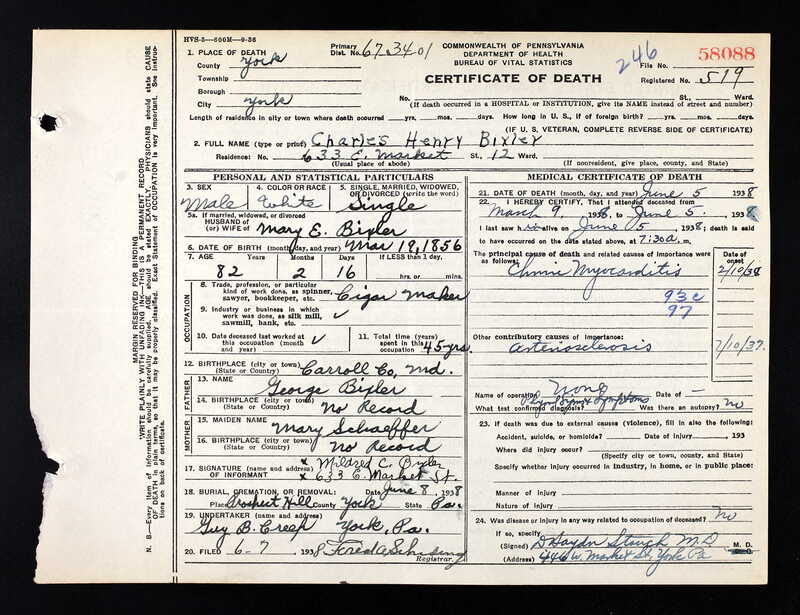 Check official death certificates for the codes, not necessary ones from a funeral home. 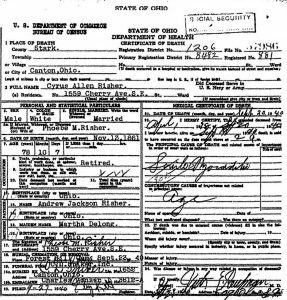 Photos: 1940 – Cyrus A. Risher Death Certificate -code 93D (Myocarditis not distinguished as acute or chronic) and 1938 Charles H. Bixler – code 93C and 97 (Myocardial degeneration described as fatty and Arteriosclerosis (excluding coronary or renal sclerosis or cerebral haemorrhage).